A medical supply company is primarily responsible for supplying medical equipment to healthcare providers but its role can be enlarged further by getting involved in the development of new equipment and devices. There are some companies that undertake the dual role of development and supply of medical equipment. These companies can be looked upon as solution providers to medical professionals and assist them in introducing new techniques of surgical procedures. Innovation and development is well supported by these companies that specialize in certain types of equipment that can be considered to be their expertise. The advancements in the medical field gain momentum with the support as better and new hospital equipment are easily available. To facilitate surgeons to administer the surgical procedures with ease and comfort while ensuring that patient safety is not compromised, a range of medical equipment are available that are used as supplementary devices to aid the process. These equipment focus on the convenience of patient positioning which is vital to the success of any urological, gynecological, orthopedic and laparoscopic surgical procedure. The safety and performance of Operating Rooms are enhanced by using surgical patient positioning equipment. The design and functionality of surgical positioning equipment depends on nature of the surgical procedure. If the procedure is being introduced for the first time then the kind of equipment that is necessary is determined by the surgical team comprising doctors, nurses and other members directly related to the procedure. The idea that is conceived is given shape by a medical supply company that specializes in such equipment. And here lies the specialty of the company that shares credit with the surgical team in launching new equipment. To understand what patient positioners are and how it helps patients and surgeons, a few types have been discussed below. Lateral positioners – These are used when the patient has to lie on one side during the procedure. Surgical procedures for kidney and hemithorax, a procedure known as ERCP that is carried out to check the bile and pancreatic ducts and for carrying out upper endoscopy these positioners are used. Surgical preppers – This range of equipment is used when it is necessary to hold the lower and upper extremities in place during the surgical procedure. There are several types of preppers available. Extremity positioner, Leg prepper and Elbow Arthroscopic support are some equipment that is commonly used. Patient positioning pads – These pads are useful to take off the pressure from the patient’s body and are available for supporting the head along with the lower and upper extremities. The selection will depend on the kind of surgery that is done. Betterment of existing products is high on the agenda of a medical supply company that specializes in medical equipment. Besides introducing new products, continuous feedback is obtained from the users of equipment so that the clinical inputs can be used for improving the quality of the products. The focus is on providing practical solutions that support innovation and development. 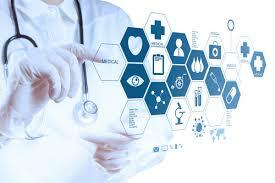 Why Should Medical Equipment Companies Sell Their Products Through An Online Platform?